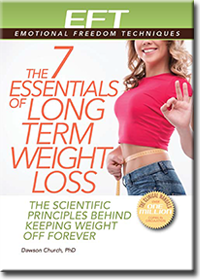 When I offer live EFT workshops, one of the modules is designed to surface all the objections to success lurking in the minds of participants. I group these by topic, and the area in which I find people have the most barriers is that of money. Yet, it doesn't have to be that way! Money can be a joyful experience in every way. Receiving money can spark positive emotions like gratitude and happiness. Spending money can awaken thankfulness for the services being received, and the privilege of having the money to buy them. Saving money can engender emotions like satisfaction and a sense of security. Making money can feel like great fun. This is the experience of most people, I've found. Money is often laden with fear. People who need money often live with a sense of lack, insecurity, and fear. People who need money often live with a sense of lack, insecurity and fear. If you're one of them, you probably imagine that those with millions of dollars in their bank accounts don't have those same worries. You'd be wrong! In my experience, many people who have more money than they can spend in a lifetime-worry just as much. They worry about losing money, about their investments going bad and about economic uncertainty. Whether money is plentiful or scarce, we have a habit of projecting many of our unhappy emotions into it. 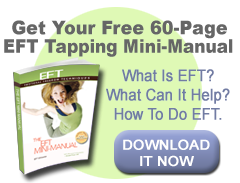 EFT can help you establish a healthy relationship with money. After tapping on your fears and early experiences, you can enjoy having it, spending it, saving it, and investing it. 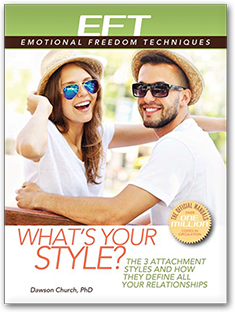 When paired with emotional freedom techniques, money can be a happy part of your life. 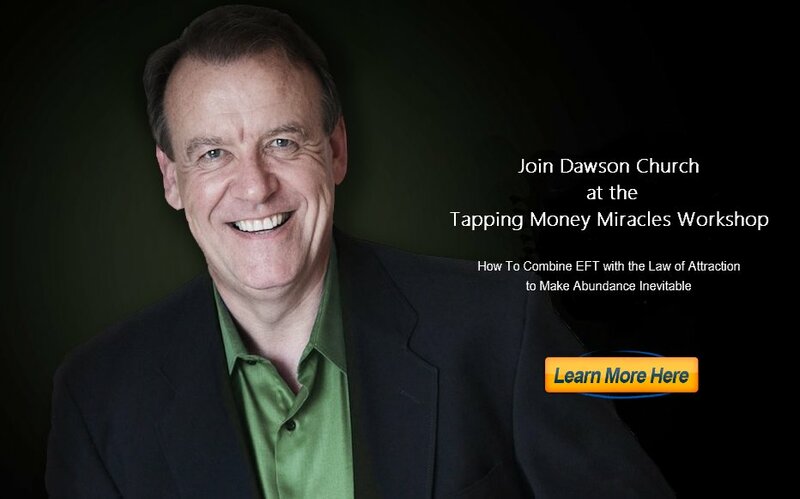 I have seen people use EFT to change their attitude toward money, and their level of prosperity with great success. Studies have shown that the most successful stock traders are those who avoid emotional swings. Simple tapping statements can help when you are feeling stress around money and lead you to recognize where these feeling stem from--probably negative childhood experiences. "Even though I feel like I don't have enough money, I deeply and completely accept myself." "Even though I am afraid to make this investment, I deeply and completely accept myself." "Even though I don't have the $25,000 I need for college yet, I deeply and completely accept myself." "Even though I have these bills that need paying, I deeply and completely accept myself." Once you tap away the stress you are experiencing, even if your circumstances don't immediately change, you feel better. This frees up your mental and emotional resources to invest in new solutions to old ways of looking at problems. Even though your life is exactly the same now as when you began to read this article, your mind is now filled with new possibilities. Those possibilities, when applied to unsatisfactory areas of your life, will change your own internal experience. As your subjective experience changes, you'll find your outer objective circumstances naturally changing. Chance your mind by opening it to fresh potential, and change your heart by embracing emotional freedom, and you take a bold and essential step toward changing your life. that change can be for the better, and be radical and discontinuous, setting you up for a future that is dramatically different from your past.